With the incredible success of his first restaurant, Rice Basil, in Salt Lake, restaurateur and founder chef Soy Bahsaikhan explodes onto the rapidly-expanding cuisine scene at their nuevo location in Murray City, Utah. 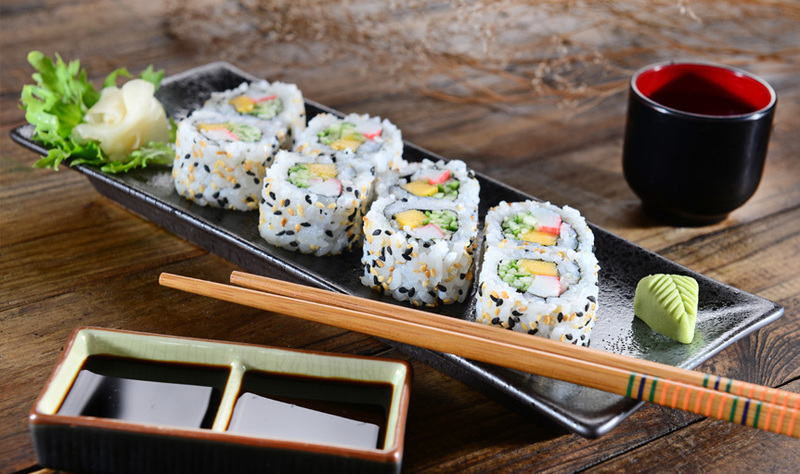 Soy’s Sushi Bar & Grill is the best display of “contemporary Japanese fusion” in the state. They offer a full sake bar, ocean-fresh fish (flown in daily), along with Japanese tapas and traditional Japanese specialties. It doesn’t get any better than watching the graceful art unfold before your eyes, as cuisine chef Soy and sushi master Jeremy Tugs carve simple rice into edible art that is totally unique, personalized, and a melt-in-your-mouth experience.